Aaron Washington came to me through one of his favorite admirers, a client. 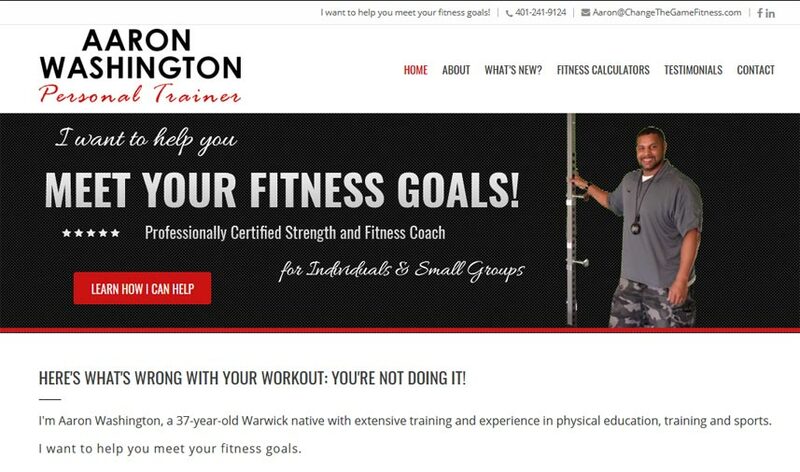 He was so impressed with Aaron’s ability as a trainer, he insisted his business needed a website to market his services more broadly. Provide fun tools like BMI calculators and other fitness measurements. I worked with Aaron to gather pictures and a general idea of what he wanted. Using his description, I searched the annals of the internet for a theme that was fitness-focused, but also could be totally customized for his own look and needs. Within a few weeks, Aaron had a website up and working for him, with the knowledge that it can grow with him!